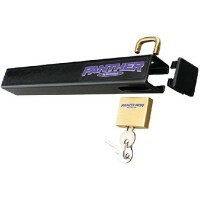 Securely attaches to outboards providing a safe and secure handle for carrying, hoisting, and moving.. 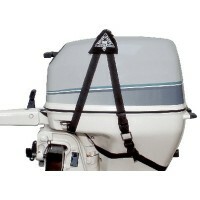 Mounts over outboard mounting clamp handles. 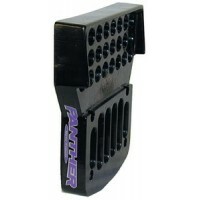 Made of heavy gauge steel with long lasting black powde..
Made in the U.S.A.Built specifically for new long or short shaft, 4-stroke, high-torque motors. Thes..
Utilizes tough alloy 1" reinforced aluminum tubing. Semi-pneumatic 8 x 1-3/4 rubber tired wheels mou..
Secures motors to the boat. 700# tensile strength cable is covered with tough, clear poly-vinyl. Uti.. These stands are ideal for storage of most motors. Utilizes tough alloy 1" aluminum tubing. 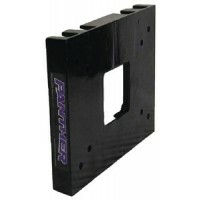 Folds fl..
Made in the U.S.A.These retractable 2-stroke brackets are made of alloy anodized aluminum to hold au..
Made in the U.S.A.These wide-track body stainless steel brackets are designed to handle 2-stroke mot..
Made in the U.S.A.Fixed height stainless steel auxiliary motor brackets. 8" wide, 1.5" thick poly mo.. Leverage tool for use with manual lift motors. Tilts motors back easier with less strain. Adjustable.. 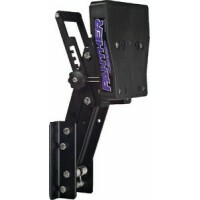 This fixed height stainless steel auxiliary motor bracket is adjustable in 7° increments plus or min..
Offers extended throttle and steering control while maintaining clear access to the engine's kill bu.. 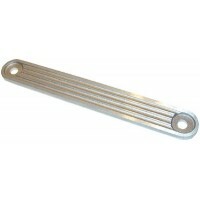 Designed to lock the outboard onto the transom, simply replace one of the mounting nuts with a McGar.. 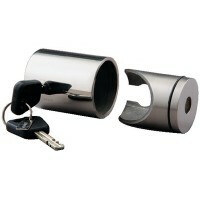 Simply replace one of the sterndrive mounting nuts for theft protection. 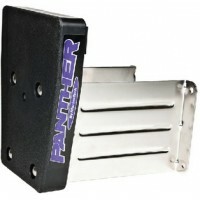 Stainless steel with free-s..
Rubber pad is oil and weather resistant. Reduces motor vibration noise. Protects transom. Measures 1.. Durable non-powered auxiliary bracket. Adjustable to 7.5" and 13" setback options. 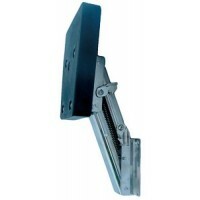 Can be upgraded t..
Vertical transom mount bracket. 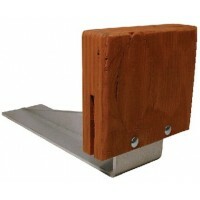 Each stainless steel bracket measures 8-1/2" long by 6-1/8" wide. 10.. 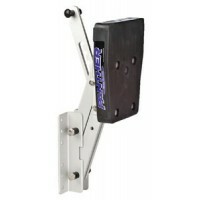 Heavy duty aluminum bracket. Black anodized finish. Designed to hold 2 and 4 stroke motors weighing .. Cast aluminum spacer provides 2" of setback for bolt-on motors. 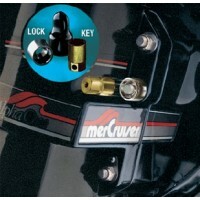 Made of 713 cast aluminum, dipped in..
Hi-security o/b motor lock ss.. 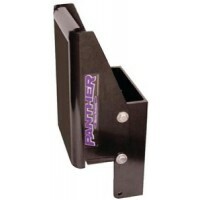 This electro-hydraulic bracket totally eliminates the stress and strain of raising and lowering your..
Made from heavy duty 713 cast aluminum, chromate dipped and black powder coated. Will add support fo.. 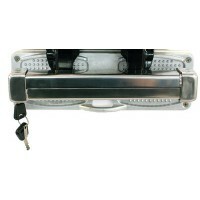 Heavy-duty, light weight aluminum, adjustable motor brackets are designed for fresh water use on bot.. 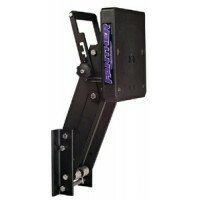 The black anodized aluminum bracket is built to handle the increased weight and torque of today's 4-..
Adjustable, heavy duty outboard motor brackets are built to handle the increased torque of today's m..
Adjustable O.B. 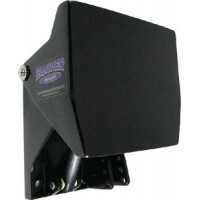 motor bracket features a stainless bracket for years of dependable fresh or saltwate.. 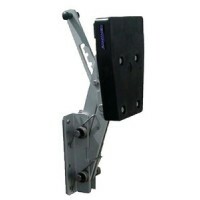 This adjustable outboard motor bracket is designed for motors up to 20hp or 115 lbs. Stainless steel.. 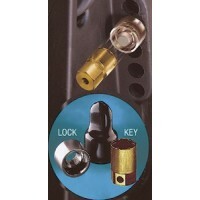 This high security lock is designed for bolt on engines. It is made from polished stainless steel, f.. 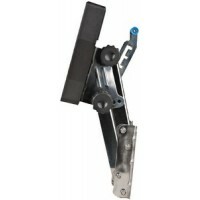 Bracket makes mounting auxiliary and long shaft motors a snap. When direct to transom motor mounting.. 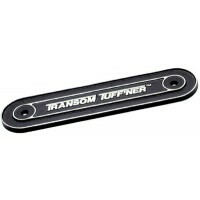 This heavy duty Transom Adapter Plate is excellent for the boater who wants the ability to remove th.. 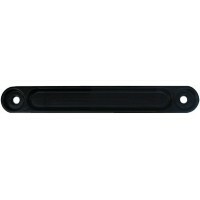 Adds strength to boat's transom by evenly distributing forces during fast starts, high speed runs an..
Transom support plate Description: Bottom Bolt Holes-Standard..
Transom support plate Description: Top Bolt Holes-Standard..
Universal trolling motor bracket for clamp-on type trolling motors. Designed for motor to be removed..